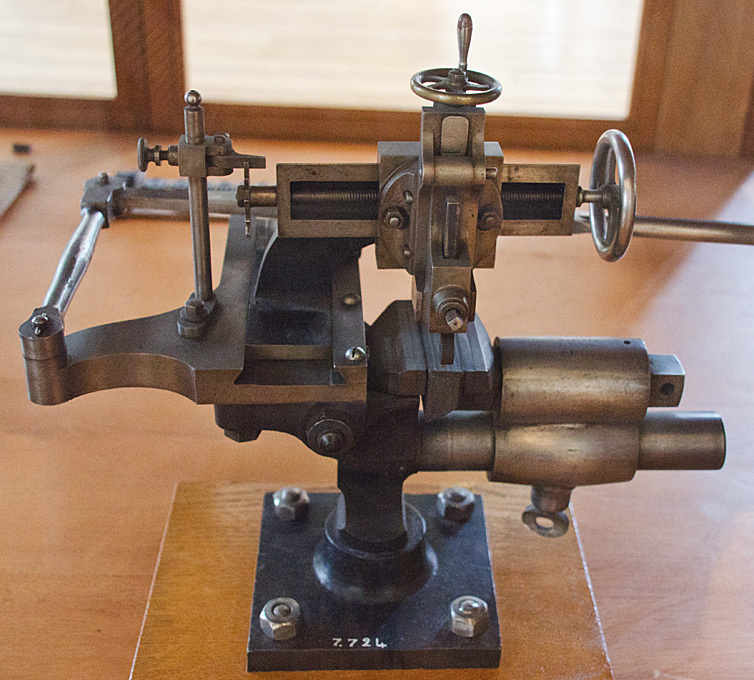 Though not necessarily a horological machine tool, this small Adept No. 1 hand-shaper is a nice addition to a workshop. 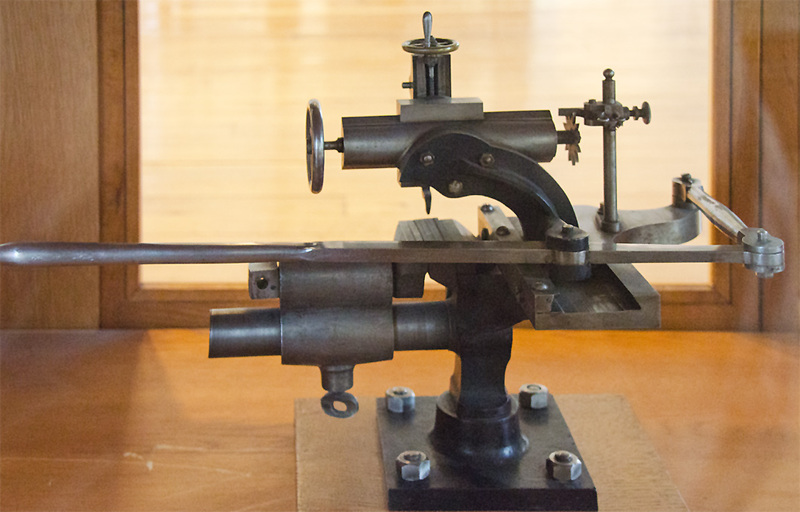 In fact, shapers have been in use in the horological industries since at least the 18th century. 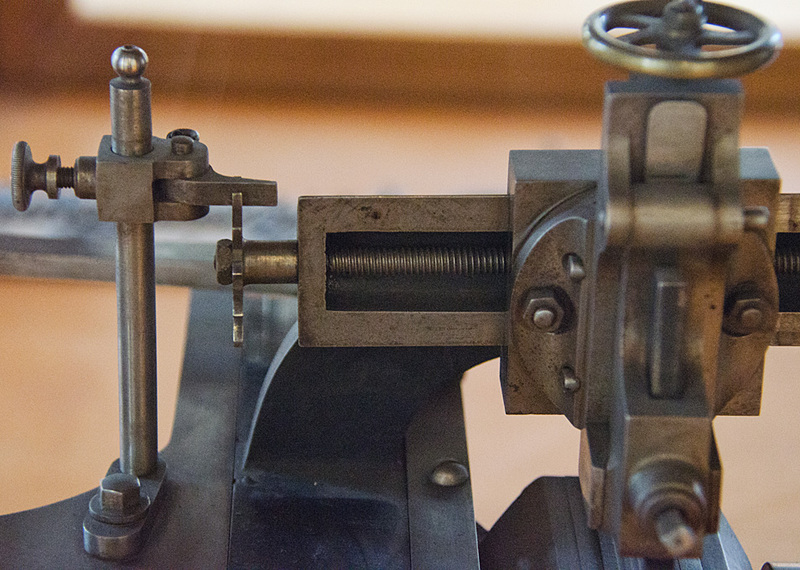 They were used there mainly for shaping wheel teeth before the milling machine came into general use. Dividing engraving machines, whether circular or straight, contain the main elements of the shaper: the tools slide and the hinged 'clapper' box tool holder. In general engeneering shapers (where the tool moves) and planers (where the work piece moves) were used to produce flat surfaces, slide ways, key ways and so forth. Today, the have largely been superseded by milling machines, but they still have the advantage that their tools are cheap, simple lathe type single-point tools. My specimen was received in a somewhat scruffy but completely unadulterated condition. The paintwork was in its original condition. Hence, I only gave it a thorough cleaning. Compared to nicely finished Swiss and German machines destined for the professional market, these Adept shapers that aimed for the amateur market are of rather rustic appearance. The Adept No. 1 also does not have an automatic table feed. So far I have resisted to make improvements, such as zeroing dials on the screw feeds or stops for the slides, which would be useful for graduating and similar work. Though, these improvements could probably be made without interfering seriously with the original substance of the machine. Being more accustomed to working in metric measures I find the imperial ACME screws on the slides somewhat awkward to work with. The (hand-)shaper actually is a very versatile tool for shaping items that cannot be turned on the lathe. With an appropriate tool holder and tool it can also be used for cutting internal key ways, which is out of the way for a milling machine. It then can be used for graduating both, round and flat scales, and for precision knurling. With a properly shaped tool and a dividing head, a shaper further can be used to cut wheels. There are examples for this kind of work on the shipmodelling pages.